I’ll admit right away that I have never picked up a Harry Potter novel. By the same token, I have seen every one of the Harry Potter movies. I guess that shows where my loyalties lie, or maybe I’m just too lazy to read anymore. Adaptations are pretty common these days in Hollywood, and with more and more epics being put on the big screen, there may be a problem with sacrificing a little too much for “literary integrity” at the expense of a complete film. 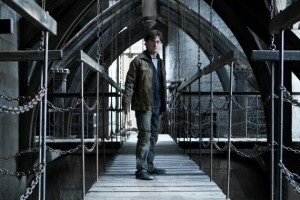 Up until now, Harry Potter and the Deathly Hallows: Part 1 has grossed over $400 million at the box office worldwide (the number six opening weekend of all time) and will certainly be among the top films in earnings history, but is this film really that good, or are we just falling victim to “completism”?